Going back and forth with clients is taking forever. You have to explain your policies, what you need from the client, and how long the project will take. And you haven’t even gotten them to sign a contract yet. Wouldn’t it be nice to streamline this entire process, and at the same time weed out clients who don’t agree with the fact you only accept scheduled phone calls? That’s where the Intro Packet Workshop comes in. In this free workshop you’ll learn how to create your own intro packet that walks potential clients through all your major policies, the basic steps of the process, and helps both you AND your potential clients decide if you’re going to be a great match. And the best part? The Intro Packet does all that before you waste time going back and forth via email or having hour-long Skype sessions. Erin Flynn teaches freelance web designers how to take back control of their businesses (and lives!). After starting her own freelance web design business in 2012, Erin realized that most web designers were disorganized and struggling to make their businesses more profitable without adding to their workload. Hitting that “next level” just wasn’t happening. After getting her own systems in order and creating raving fans out of her clients, Erin knew she had to help other designers do the same. Today, she’s helped over 10,000 students do everything from plan and build a basic website, to organize their processes, to restructure their work days so that they can FINALLY take a weekend off without guilt. 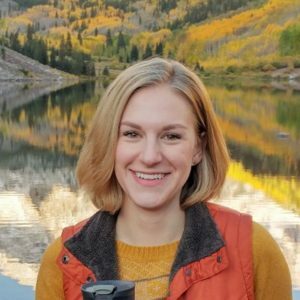 When Erin’s not glued to her computer screen, she loves binge-watching Netflix with her husband and cat (who has his own Instagram–yes, the cat), and exploring the mountains around her home in Aspen, Colorado. Learn more about Erin at https://www.erinflynn.com.